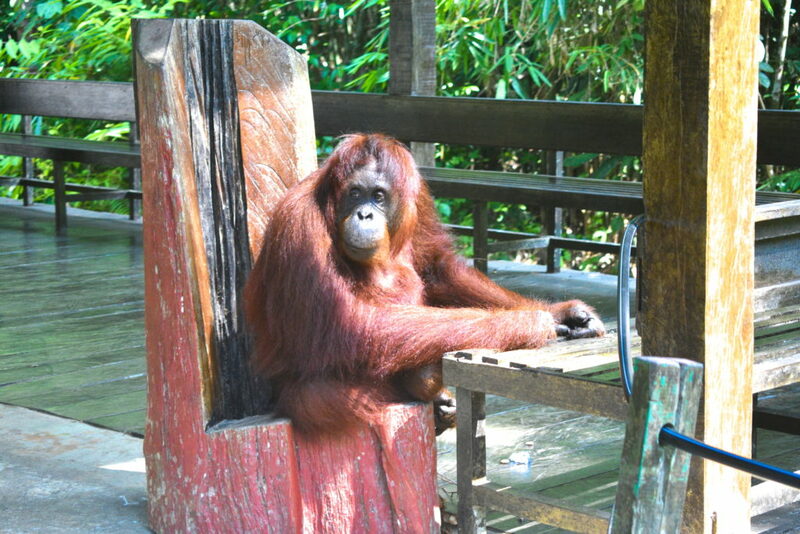 The trails of the park are open from 8 to 5, but if you want more chances to see the orangutans you should come during the feeding sessions, at around 9 and 3. As we don’t like getting up early unless it’s strictly necessary, we chose the afternoon session. 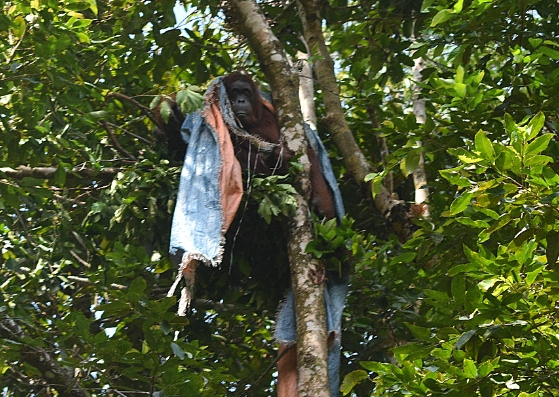 As soon as we arrived we could see a couple of orangutans playing on the trees, one with a rope, and the other with a blanket. This last one got soon tired and decided to calmly come off the tree and have a walk around us; the guards kept us at security distance and we could see this beauty moving freely around, and that was absolutely amazing. 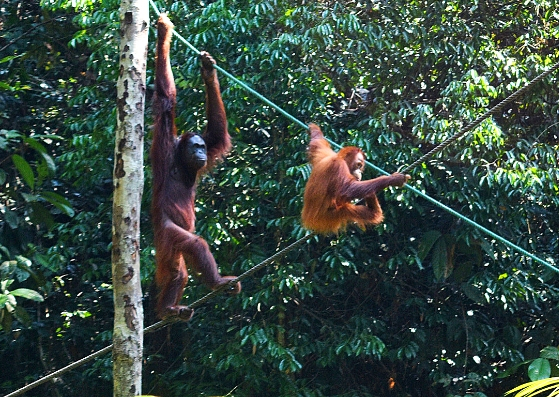 Soon the feeding session began and we were invited to reach the feeding platform, where we could see a giant lazy male with a female and two babies playing. 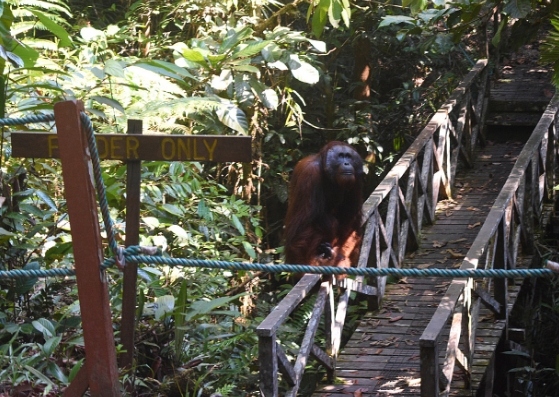 The guards told us that it was a lucky day, as the orangutans weren’t coming often in this period; they are actually free to do whatever they want, and if they are able to find food in the forest they won’t visit the center every day. 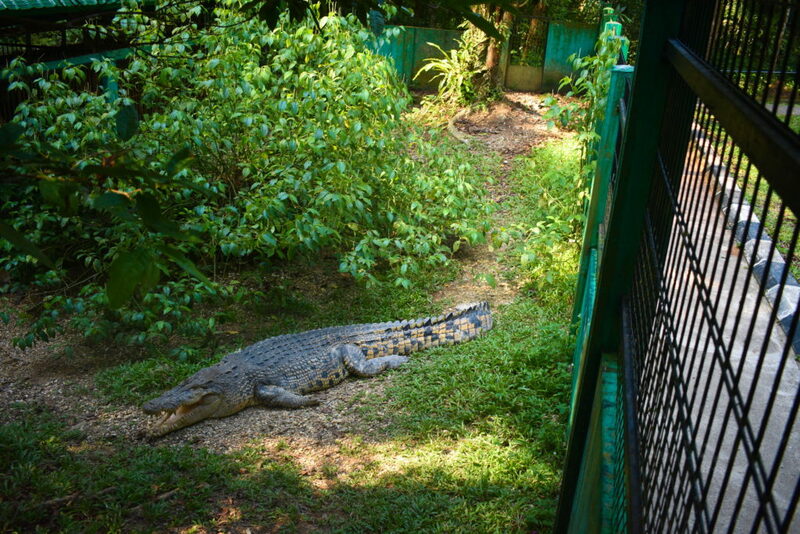 At Semenggoh we could also see a sea crocodile in a small compound, captured in one of the beaches of the area. The population here has great concerns here with crocodiles, so they get both killed or trapped and taken to this kind of centers. As I mentioned, Semenggoh is quite close to Kuching, and the easiest way is to take a Grab, we paid just 4.5 euros. There is supposed to be a public bus some times a day but I wouldn’t rely on it, even if I’m a huge fan of public transportation. It can be harder to get a grab on the way back, so maybe you could consider asking your driver to wait 1 or 2 hours for you for an extra fee. We managed to get one in the end but had to wait a bit.